No Drama... No Muss... No Fuss, we are low-key professionals, that are extremely passionate about our work. Our main focus is providing you with the best images possible for your marketing objectives! We understand the difference between selling a home, and marketing a home. 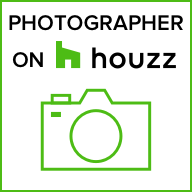 It's easy to set an appointment for us to photograph your property! Just click on the button below to place your order, and we'll contact you to confirm, and handle the rest. Questions before you place the order? No problem - just call us @ 424-282-8020 and we'll be happy to help. Copyright Notice: The photographs taken by AcmeStudios are licensed to agents/brokers for a one-time, non-exclusive, commercial use for the marketing of the given property under contract. The images may be used in any manner related only to the sale of the given property. The photos can no longer be used, licensed or transferred to any party in anyway after the close of escrow or listing expiration for that given property or if property changes brokers/agents. You shall not alter the images. Photo credit must be given in books, magazines or newspapers when applicable. Any other use outside the sale or listing agreement will be subject to additional licensing fees. Prices are subject to change without notice. All rights are retained by AcmeStudios. Cancellation Policy: Order cancelled within 24hrs. of placement - Full Refund. Order cancelled after 24hrs. of placement - 50% Refund. Order cancelled within 24hrs. of appt. - No Refund. Thank you for your order! Once we have verified our availability on your requested date, You will receive a email confirmation, and invoice via PayPal.